While of course I already have a hand-drafted shirt pattern for him, working with vintage patterns is fun...and always spark ideas for my own original shirt designs. So now I need to decide. I'll flip through these patterns between packing interfacing orders, and come up with a final choice by the end of the day. Here is the fabric I'll be using...a cotton print. I'll be working on the shirt this evening, and within a day or so I'll show you what pattern I chose, and why...along with some pics of the instruction sheets. I love making mens shirts. My husband just loves when I make him one :) They are just so fun to make. I feel completely inadequate when I learn how many men's shirt patterns you own. My collection is miniscule. And I LOVE that fabric! 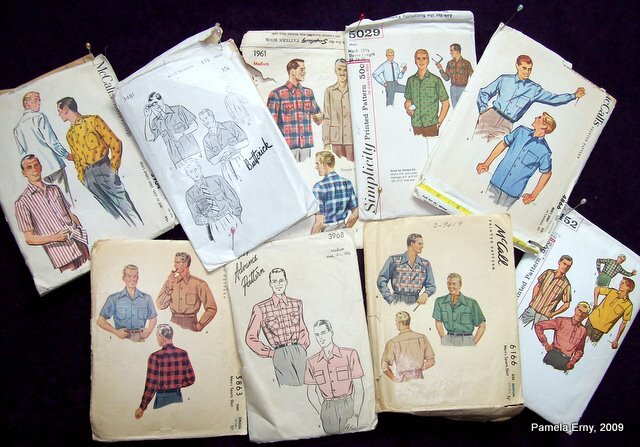 I am awed by the number of mens shirt patterns you own! 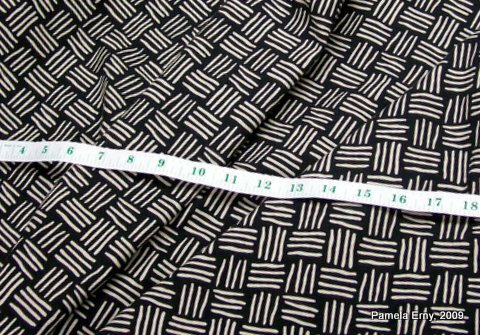 I'll also be interested to know the reason why you chose a particular pattern for this fabric. My poor dh is waiting for a long-promised shirt. Looking forward to seeing your pics! Oh I love this fabric!